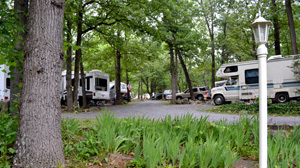 Considering Buying a Campground or RV park? 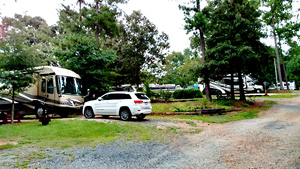 "4 Steps to Determine the REAL Profit of an RV Park"
To understand why parks seem High Priced, Low Profit, Yet Still Sell?! "Getting the Banker to Say 'Yes' to Your Request"
It's all in how you ask - check out these 10 successful loan request packages. 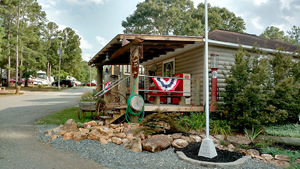 This Small RV Park in Georgia has LOTS of character with "woodsy" charm. 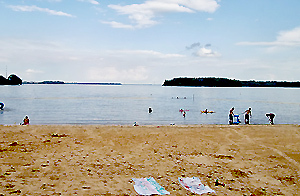 People come to this park for the charm and convenience of the location. 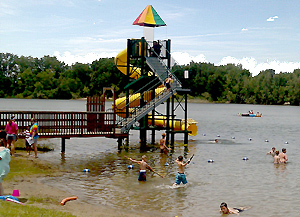 The park is less than 5 miles from the exit off Interstate I-75, making this an easy stop for traveling campers. 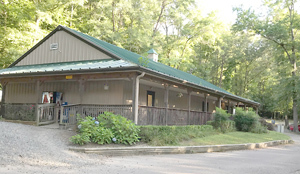 It is a great place for monthly campers working in the area. Plus, there is a beautiful recreation area nearby. Approx. 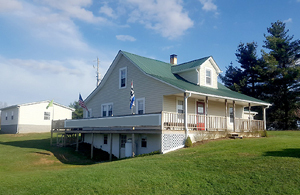 6 acres, 40 RV sites, main building, meeting room, covered pavilion, playground, large metal maintenance barn and owner's residence. Gross income of approx. $134K covers all the operating expenses, the mortgage and interest payments PLUS leaves enough for a small salary! This park also provides your housing and many other benefits. Perfect park for the Mom & Pop wanting a project they can run themselves. Sales Price: $585,000 with $195,000 downpayment! 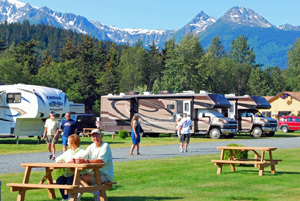 Modern RV Park has all the amenities to attract the big RVs. 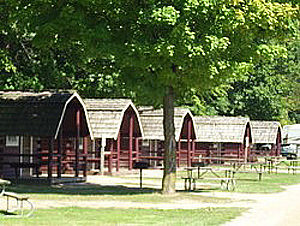 GREAT interstate location and LOTS of pull-thru sites makes this an easy stop for campers traveling to the popular destinations. This park, built in 2008, has newer buildings, paved roads AND city water and sewer. That means less hassles and fix-up than typically found in "older" worn-out parks. 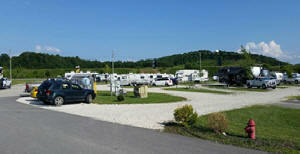 Full facility RV park with +/-107 sites (includes 4 cabin rentals). Approx. 47 acres provides plenty of room for expansion AND Phase III has already been engineered and approved for adding 18 new sites! Mild weather and temperate winters allows this year-round business to generate +/- $513K gross income. On a per site basis, that is almost $5K average per site - confirmation there is demand for additional sites. Plenty of opportunity here! This Fun-filled campground is packed with special features! Kids will remember this park as something EXTRA SPECIAL and will beg Mom and Dad to come back! Unique features like a Climbing Rock Wall, Skate Park, Outdoor Bowling, Jumping Pillow, AND Laser Tag all set this park apart as being one-of-a-kind. 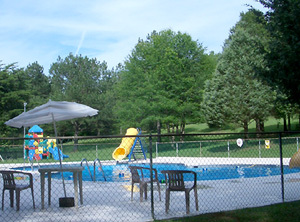 This full facility RV park also has all the modern amenities to keep Mom & Dad coming back too. Approx. 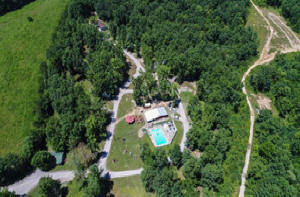 32 beautiful wooded acres provides room to expand. 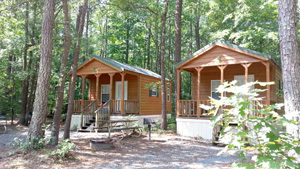 138 sites, 20 cabin rentals, Campstore, Snack bar and other profit centers bring in +/- $535,000 gross income. This park is profitable - and only open 7 months (so you can take winters off). Plus, all this comes with a 4 bedroom residence for the owner or manager. 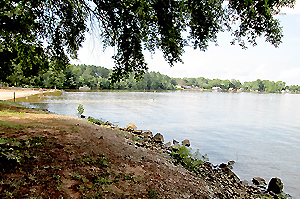 Lake frontage, sandy beach, boat ramp, scenic waterfront campsites, +/-90 acres of beautiful woods, and located in the South East - WOW this campground has everything you are looking for! This property has a unique setting and is build-out ready. LOTS of potential here! Only about half of the property is developed. 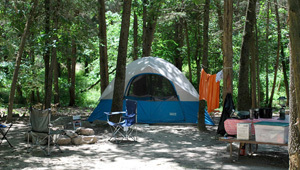 The campground already has 67 sites AND there are permits in place to add 200 more sites. 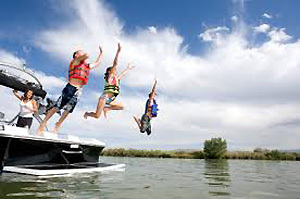 Owners also have permits for a zip-line AND it is also possible to add 50 rental boat slips for camper's use. 2017 gross income $212,400. PLUS, Seller financing is available to qualified buyers! WOW this campground REALLY does has everything you are looking for! SELLER FINANCING AVAILABLE to qualified buyers! What's Unique About this Park? 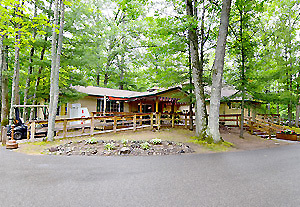 This park comes with 100 acres of beautiful wooded property! All this acreage, PLUS, this park has easy access from the interstate and is located within 10 minutes from a Wal-Mart, a small college town, quaint restaurants and shops. With 60 acres undeveloped and room on the existing sewer system, there is a lot of room for expansion. 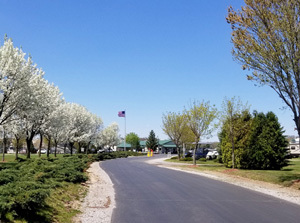 Full facility RV park with +/- 175 sites and +/- 40 cabins/rentals, main building, store, gameroom, bathhouse, swimming pool, owner's housing, and LOTS of extra amenities. Gross income +/- $667,000. Request the information package for details! If you LOVE the idea of owning LOTS of land, this park is perfect for you! Located in northwest Pennsylvania, there are 74 acres with 2 ponds - over 60% of the property is heavily wooded undeveloped land. If you LOVE the idea of living in a traditional home, this park is perfect for you! 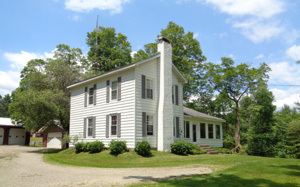 The large farmhouse on the property has 3 bedrooms and 2 baths. 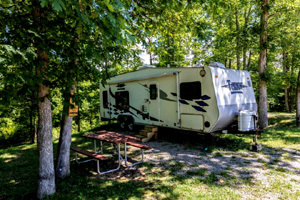 If you LOVE the idea of an established campground with a steady repeat clientele, this campground has 100 sites with most of them being seasonal campers. 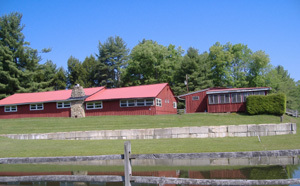 The park includes a store with office, bathhouse, Rec Hall and maintenance buildings. 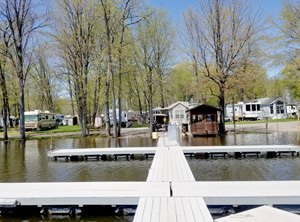 Investors, Builders and Buyers - Opportunity to add much needed RV sites to this quality RV resort. Located 1 hour from one of the 5 largest cities on the east coast. 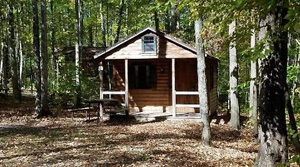 This park sits on 113 wooded acres and is a perfect retreat for campers wanting to get out of the BIG hectic city or for travelers on this major interstate. 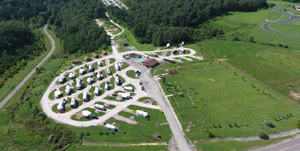 Full facility RV park with ALL the amenities, with 112 sites (includes cabin rentals). The demand is high for more sites and there is plenty of undeveloped land for expansion. Sellers already have conceptual plans drawn up to add 50+ RV sites. 2018 estimates: Gross Income +/- $980,000, NOI $350K to $375K. 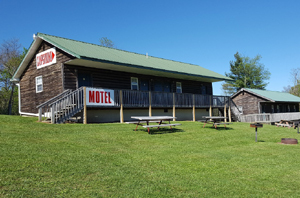 Owner purchased and invested over $4,800,000.00 in the property, with the campground & resort being one of the prime of its type! This is an estate sale. 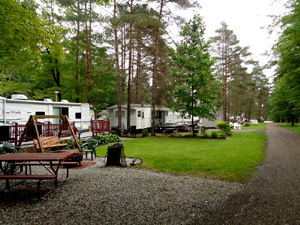 The campground consists of over 1,000 sites that are approximately 40' x 80' in size. There is currently an Owners Association in place that is governed by declarations & bylaws. Most lots were sold anywhere between $10,000-$20,000 & the yearly rent per lot was $300-450, with there being lots of interest in seasonal memberships. but it is complicated and requires a "problem-solver." 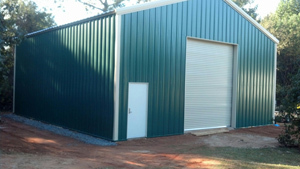 Profitable Park cash flows +/- $150K after operating expenses and mortgage payments. 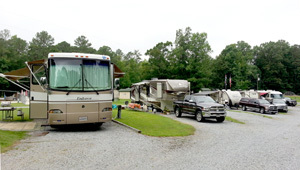 This RV park caters to the family campers as well as capturing the overnight RV travelers from the nearby interstate. Nice mixture of open areas for pull thru sites and dense woods for weekend camping. 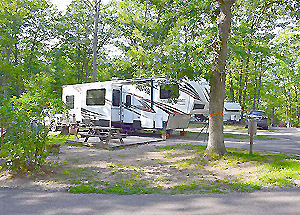 Steady monthly campers also compliment the traditional campground business. Plenty of housing for owners and additional family members or partners. This full facility park has all the amenities; Swimming Pool, Jumping Pad, Mini-golf, Modern Playground, Spray park for kiddies. Plus county sewer and water available for future growth! 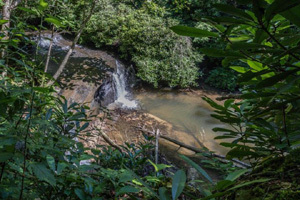 This park has a one-of-a-kind location in the MOUNTAINS with road frontage and access to a National Park. LOTS of travelers come to this area for the beautiful mountain scenery. Cool mountain air, long-range vistas, pretty spring blooming trees, plenty to do in the summers, spectacular color in the fall and mild winter climates - all reasons why people pay LOTS of money just to buy a home in these mountains. This park includes a traditional 2 bedroom/2bath home in the sales price. 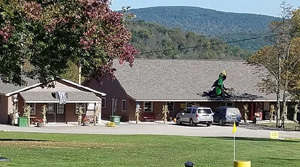 LOTS of other amenities too - including RV sites, rental cabins, motel rooms, and room for expansion. This beautiful mountain area is probably on your "wish list" and is a must-see! 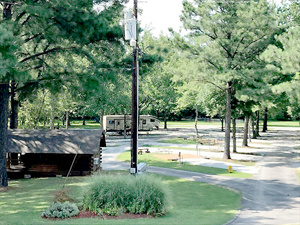 Campground in Tennessee used to be a "FIXER-UPPER" - now transformed into a modern, updated RV Park! Everything has been re-painted, re-habed and re-modeled from top to bottom. If you have seen the home improvement shows on TV - this park is ready for the "big reveal." The owners have also been working on the income and have grown it from practically nothing up to a respectable $100K in just 3 years - which shows the park is in a good location with a good demand for business and potential growth. LOTS to do in this area of Tennessee! 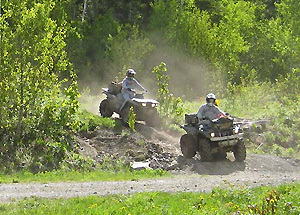 The large recreation area near this campground provides every type of outdoor recreational activity imaginable: hiking, biking, ATVing, boating, watersports, fishing, and hunting. Plus there is a civil war historical site, antique shops and golf courses to keep everyone else entertained. The campground is located on approx. 17 acres and includes room for expansion. 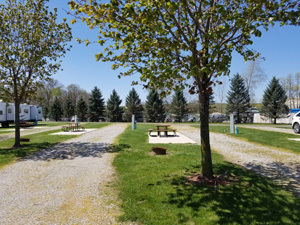 This full facility RV park comes with 53 sites (includes 9 cabin rentals), store, laundry, bathhouse, activity room, swimming pool, mini golf, disc golf, gem mining and dog park. Housing includes a 3-bedroom/2-bath double-wide mobile home and a separate one-bedroom efficiency apartment. Additional adjacent property and a traditional home are also available. Sellers are willing to offer Seller Financing to qualified buyers! ALL SELLER FINANCING available to qualified Buyers! Forests, Mountains, History and Colleges! This park appeals to Nature Lovers, History Buffs, and has the amenities for the BIG RVs! Adjacent to a National Forest, this park is surrounded by natural beauty. Approx. 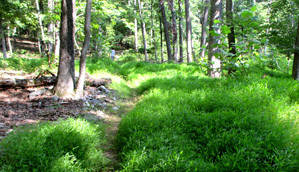 50 acres gives this park the beautiful forest setting and hiking trails to make the Nature Lovers happy. 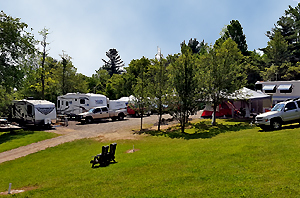 PLUS, this RV park has all the facilities and modern conveniences to make the premium big RV campers happy. Lots of historical sites nearby to appeal to the history "buffs." Several colleges bring students, family and football fans to the area. 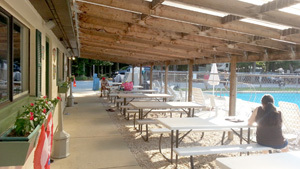 This park has it ALL with +/- 100 sites with rentals, swimming pool, store, food service and extra long pull thru sites with 50-amp service, AND room for expansion. Two residences would make it ideal for partnership or extended families. COMING SOON - Upgraded $350,000 sewer plant with expansion capacity sets the stage for the future! Ever thought about spending the summers in Alaska? 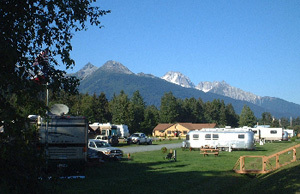 You can own this beautiful RV park and enjoy the surrounding majestic snowcapped mountains. The park is only open 4 months so you can leave for warmer climates - or stay and enjoy the winter. 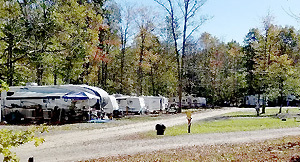 The +/- 90 full hook up RV sites provide all the modern amenities. 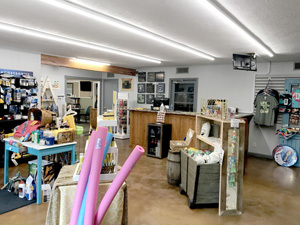 The attractive main building includes the store and gift shop, registration and office, bathhouse with showers, laundry AND the owner's 1 bedroom/1 bath apartment. 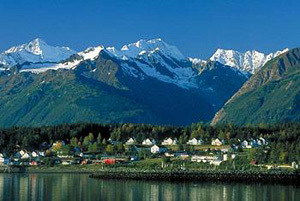 This is a perfect location to enjoy all the spectacular natural beauty of Alaska from mountains to glaciers. 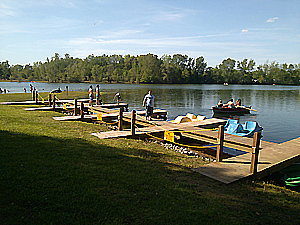 Boating, fishing and kayaking are available at the fishing harbor less than 1 mile from the park. Campers can enjoy the complete "Alaskan" experience at this park including seeing moose walking through the park. All of this gorgeous nature abounds - yet the park is on CITY WATER and SEWER AND has wi-fi. 2016 Gross income +/- $192,000. 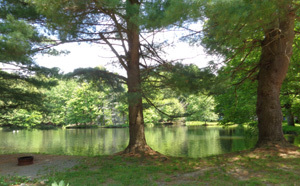 This Pennsylvania campground has a beautiful setting on 40 acres of heavily wooded property with 4 ponds, located near the Allegheny National Forest. 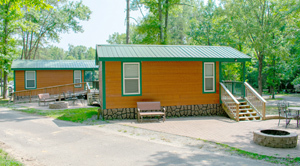 The campground has 129 sites, 3 cabins, Store, Rec Hall, Bathhouse and Shop/Garage. 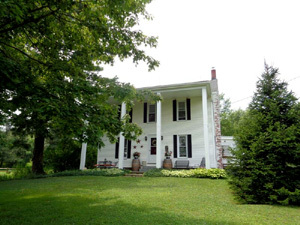 PLUS, it includes the Owner's large 2-story traditional farmhouse with 5 bedrooms, 2 baths and attached heated garage. Gross income +/- $85,000. 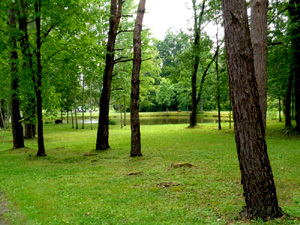 Located in north-central Tennessee, this park with 85 acres is perfect for the outdoor enthusiast! Sales Price: $279,000 with $70,000 downpayment. SELLER FINANCING available to qualified buyers. Darrell Hess & Associates does not co-broke. with this office prior to any involvement in any transaction. check the box indicating you are a licensed agent/broker. 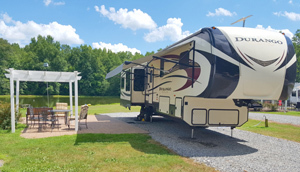 of campgrounds and RV parks in the eastern states. Darrell and Associates also work as a Business Brokers in many other states. by KOA, Yogi Bear Leisure Systems and the National Association of RV Parks (ARVC). regarding campground purchases, investments and improvements.